Billions microorganisms beneficial and essential for overall health and well being. 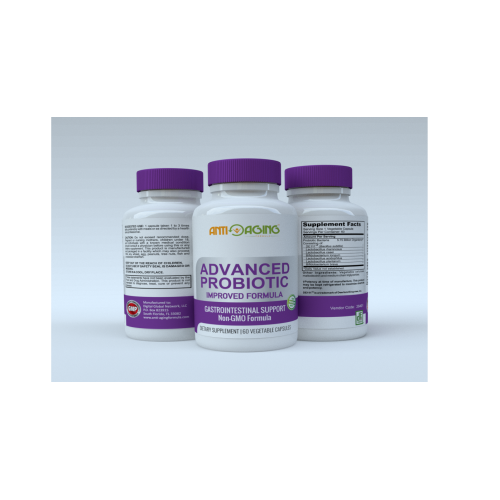 Probiotics are recognized for their benefits in promoting a healthy digestive tract and immune system. Lactobacillus rhamnosus: L. rhamnosus is gaining recognition for its systemic immune-enhancing ability and is known to produce the biologically desirable L(+) lactic acid Lactobacillus plantarum: The ability of L. plantarum to produce antimicrobial substances helps them survive in the gastrointestinal tract of humans. The antimicrobial substances produced have shown significant effect on Gram-positive and Gram-negative bacteria. Bifidobacterium breve: B breve, this bacteria is anaerobic and non-motile. Its branches are rod-shaped, looking almost like a cactus in the microscopic view. Bacillus subtilus: A member of the genus Bacillus, B. subtilis is rod-shaped, and has the ability to form a tough, protective endospore, allowing the organism to tolerate extreme environmental conditions. B. subtilis has a long history of use in treating gastrointestinal disorders such as dysentery. 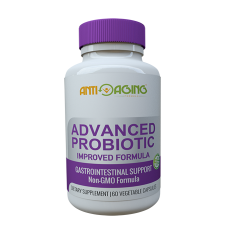 It is known to stimulate the immune system and produce antibiotic compounds that inhibit the growth of some pathogenic microorganisms. **For best results, keep this product refrigerated.